Metro Bus Project ,Should we Support it in Pakistan? Efficient public transport service and professionaly handled transport system has always been a dream for residents of Pakistan. Recently Pakistan’s first rapid transit project has been launched by C.M Shahbaz Shareef which is none other then Metro Bus Project. It is no doubt a mega project in the field of transport in Pakistan. 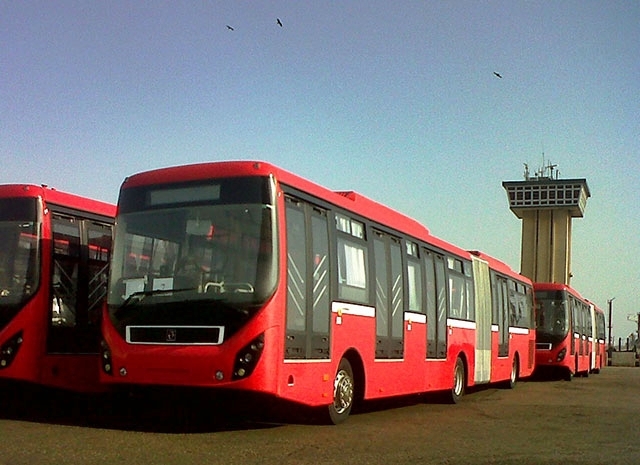 Total number of metro buses in Lahore is 45. 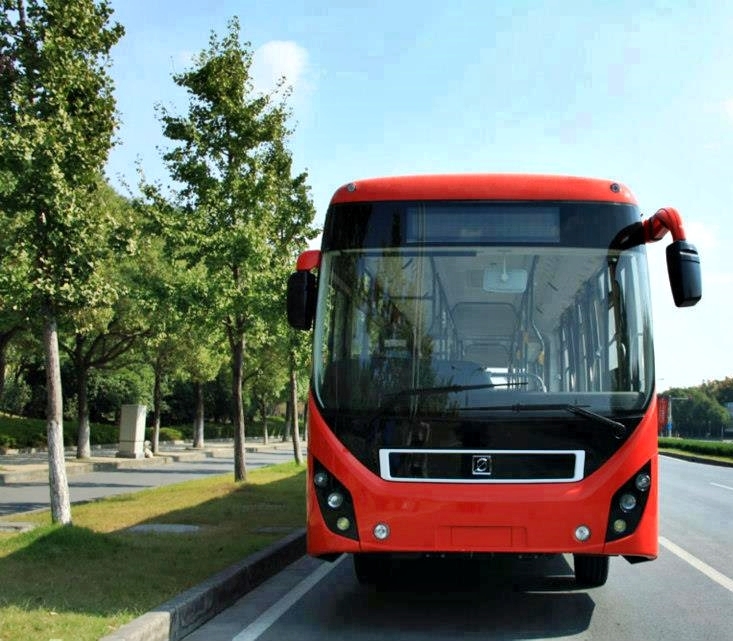 Its length is 18 meters and it is approximately 6 meters longer than ordinary buses. An eye catching two way road track has been constructed whose length is 30 Km and width is 10Km. Name of this track is Metro Bus Corridor. One bus can accommodate almost 120-140 passengers. Separate seats have been made for male and female passengers. Also separate seats have been reserved for disabled passengers. Almost 29 bus stops have been constructed on the metro bus track through which almost 60,000 people travel each day. Total amount spent on this project is almost 30 Billion out of 63 Billion which is total budget for the welfare of Province Punjab. It is a huge burden on the economy of Punjab. Although there are many serious issues demanding attention yet a huge amount is spent just on transport issue in one city only. Another commonly seen problem is separate reservation of seats. It was declared that there would be separate seats for men, women and disabled passengers.But due to the issue of overloading this cant be done. A large number of passengers have to stand up to their destination. Females are specially feeling difficulty in travelling as they have to stand together with males which is not considered good in Muslim countries. This issue needs to be resolved as well. Many problems have been prevailing up till the day of inauguration. Passengers have faced serious problems on Ferozpur to Gajumata route as no local bus was available except Metro which was massively crowded in initial days . So, people have to wait for hours just to be on the bus with no available seats. Now it is seen as a disaster more then blessing because transport issues are still prevailing. All estimations about the travelers that will travel by these buses have been wrong. Serious accidents have been reported due to overloading issue. Recently, an overly filled Metro bus collided with road divider resulting in serious injuries.It indicates that if such problems will not be addressed, this project will be failed. It is a waste of time as well as you have to stand in long ques for hours just to get the pass for bus so people seem reluctant to be on Metro bus with passing time which clearly demarcates its failure. 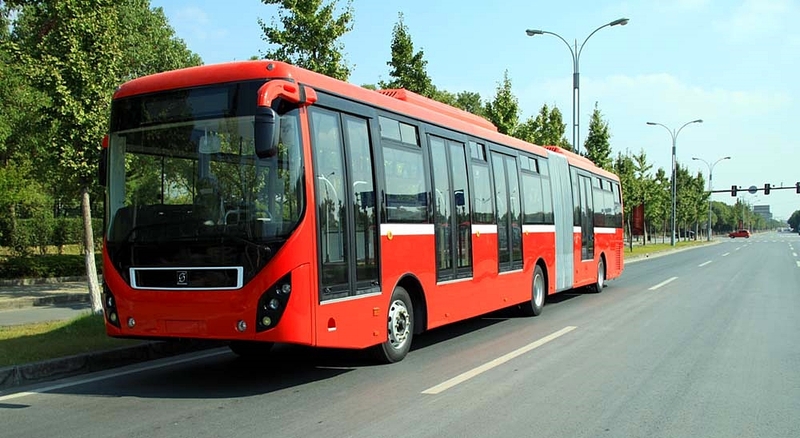 This project has ranked Pakistan in the list of 36 countries that uses BRT(Bus Rapid Transit) system including developed countries like Brazil,Turkey etc. So it has provided an international outlook. Local Lahore transport has been a humiliating experience for most of the passengers due to crowd and ticket cost but Metro bus system has made middle class and lower middle class to travel with dignity and comfort. This project has been completed within just 11 months which demands appreciation. If it becomes successful in future then it can be a role model in other cities as well. Also you require only 20 rupees even if you have to travel to the last stop which makes this project very impressive and feasible for the poor.Also rechargeable cards are available that can be recharged by automatic machines. Lahore BRT system is handled and operated by a team of experts whose duty is to maintain efficient transit system and arrival of buses at 3 minutes interval. For efficient service automatic machines are present at all stops but due to lack of guidance almost 80% machines have been damaged by public in attempt to use them . To solve this issue, a trained staff member must be present at machine to guide passengers. As one person can have only one token at a time so it become very costly for regular travelers as they have to buy token again and again because it expires after sometime. So, it would be better if they buy rechargeable cards as they do not expire and can be used again. Although stairs and escalators are present but most of them are damaged and not feasible for women and elderly people so this issue must be addressed. Also, elevators must be present for handicapped people. Metro bus system is clearly an indicator of bad governance in Punjab because it was started without planning. Before starting any project research and calculations must be done about the feasibility of project but there is a clear lack of expert opinion in initiation of this mega project. As an authority, the government should give equal importance to all provinces and all citizens. Introducing this luxurious transport in Lahore only has created jealousy factor specially among people of KPK and Baluchistan. As a developing country we have a lot of issues to be solved which are far more important than transport and they are to be managed in such a limited budget. Like education is first priority in all countries and they spent their maximum income on increasing literacy but due to lack of leadership skills, government has wasted huge budget on this waste project. Also health,food,shelter and other basic needs have been overlooked to just earn fame. Metro buses are causing loss of almost 2 Billion rupees annually which is a huge hallmark but government cant shut it down because it will depict its failure. But the upcoming governments will obviously not tolerate expenses on such stupid projects so future of Metro bus project is still a question mark. Lastly, it was claimed that Metro project will resolve transport issues in Lahore completely but instead of resolving it has increased the transit problems. A clear proof of its failure is the announcement of introduction of ORANGE TRAIN SERVICE which shows that Metro bus has failed to fulfill its purpose. To conclude, although it is a revolutionary step and a luxury as well but if serious steps are not taken to resolve the issues it would damage the whole economy and would be a question mark on the governing abilities of Punjab government.